Jerusalem, modern. On six feet, each adorned with cut amethyst. 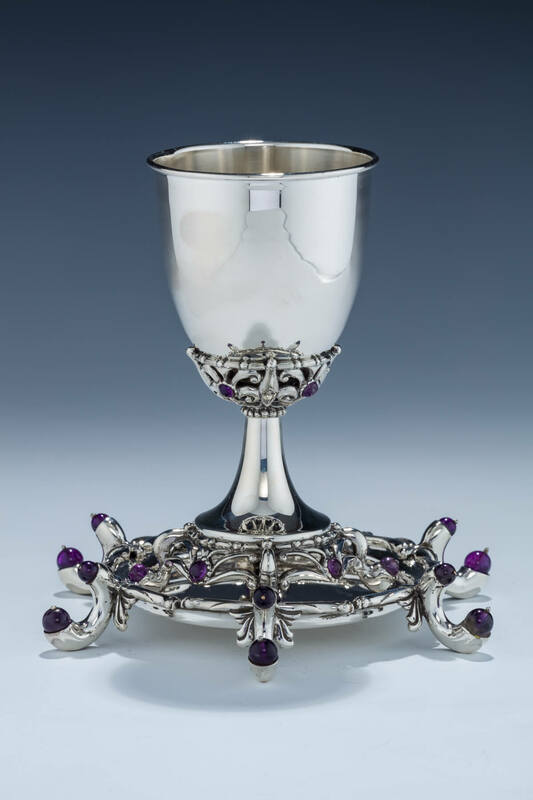 Upper portion goblet form further encrusted with same. With matching underplate. 4.3” tall.